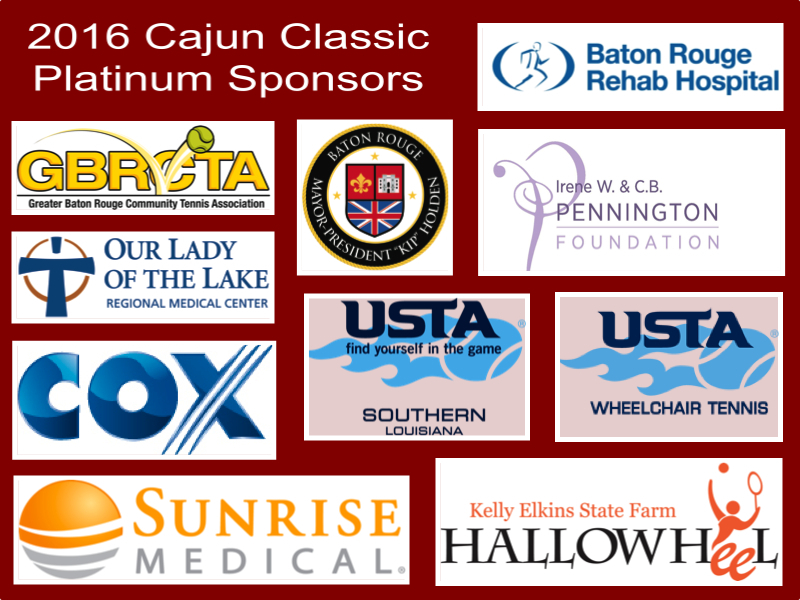 The 2016 Cajun Classic Wheelchair Tennis Tournament, March 16-20, in Baton Rouge, celebrated its 27th year with a great field of 128 players from 21 countries and 24 states, including 12 Baton Rouge-area amateurs. Thanks to Chris Price of WBRZ-TV for his insightful story and commentary about the Cajun Classic and wheelchair tennis. Click on the image above to watch. Cajun Industries, LLC, Brian Harris Automotive, GEARED UP, Neighbors Federal Credit Union, Baton Rouge Women’s Tennis Association, Visit Baton Rouge, Louisiana Lagniappe, Fresh Pickin’s Market, Sysco, Community Coffee, Coca-Cola Bottling Company, Southern Maid Donuts, Sushi Yama, Chick-Fil-A, McDonald’s, Dr. John Nyboer, Gorman Brothers, Doug Olinde, LLC, EMCO Technologies, Central Hitch, Baton Rouge General Medical Center, Brownsfield Lions Club, National Charity League – River Road Chapter, Bistro Byronz, Raising Cane’s, World’s Finest Chocolate, Price LeBlanc Lexus, Unique Cuisine, Varsity Sports, Anita and Joseph Coyle, and Bethesda Rehabilitation Hospital. The Cajun Classic Wheelchair Tennis Tournament is sanctioned by the International Tennis Federation (ITF) and is one of only two Level-1 tournaments in the United States. 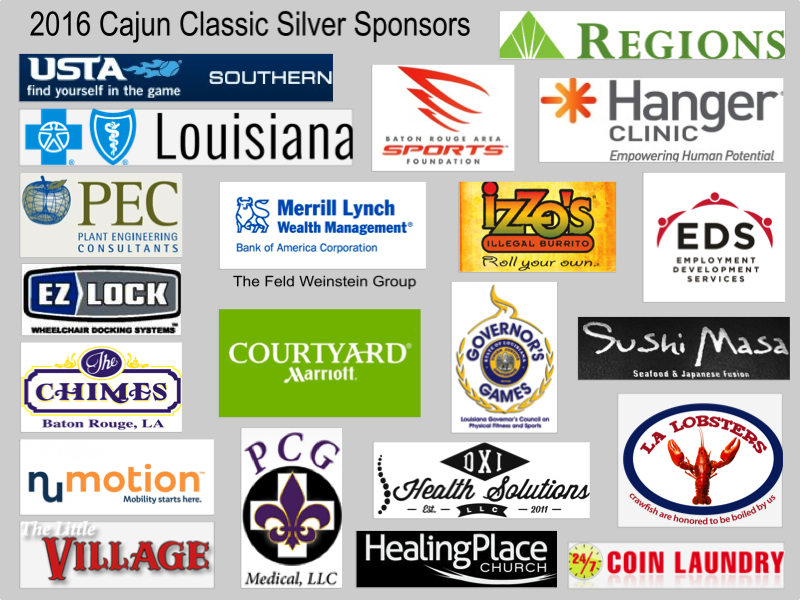 Every year, the Cajun Classic attracts top professionals and amateurs from throughout the world.